Home » Historical » Regency » Are These the Cutest Shoes You’ve Ever Seen? 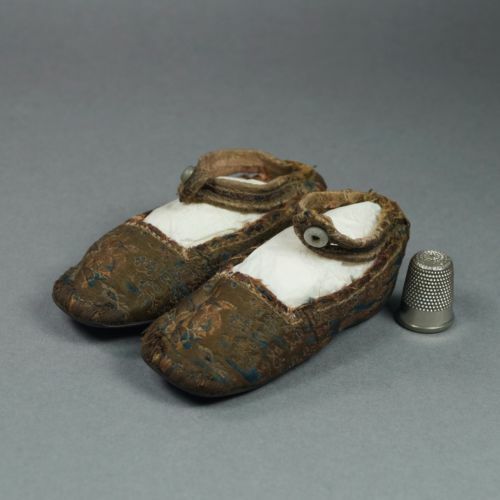 These incredible shoes belonged to a child in the early 19th Century and are now for sale on Ebay. The shoes measure 9.5cm x 3.5 cm. Never to be worn, these are for careful display only. But before you get too excited these rare antiques are priced at £795. Hopefully they will go to a good home.